Construction workers have vital roles in maintaining urban infrastructure, restoring those parts of our metropolis that have begun to crumble with age, and raising new buildings that will forge the city’s future. Because of the inherently risky nature of their jobs, though, construction workers must follow strict protocols to ensure their own safety and the safety of passersby. Unfortunately, accidents can occur at even the safest work sites, and in the event of injury, there are laws in place that protect construction workers. If you have been injured in your role as a construction worker, or if a loved one has been injured, bear these facts in mind as you seek compensation for any wounds that were sustained in construction accidents. Labor Laws Protect Workers After Injuries Involving Heights. If a worker falls from a height or is hit by a falling object, the responsibility is on the shoulders of the owner of the property, the general contractor, and/or any other company that was in control of the area. In addition, New York State has specific regulations to determine whether an owner or general contractor is responsible, and an investigation will be conducted to determine if the injury was caused by a violation of state regulations that protect workers. 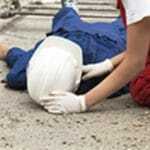 If that is the case, the worker will be compensated for her or his injuries. Damages Can Be Visible and Hidden. In New York State, damages comprise several components, the more obvious of which include physical damage, injuries, pain, and suffering. Less readily apparent damages can encompass the psychological elements of those injuries, the inability of people to continue doing everyday actions, and the loss of earning capacity. Because the latter effects are less conspicuous, an expert can be hired to calculate those damages by determining what the replacement cost of those functions would be. In the Event of Death, There Are Still Options. The first step is to set up an estate in order to establish an entity that can pursue the claim on behalf of the deceased person. New York State’s wrongful death statute of limitations is only two years, so the investigation should be initiated as soon as possible. Because the general contractors, project developers, or subcontractors were responsible for the conditions of the work site, they may all have contributed to the situation that caused the death. Construction workers are often the unsung heroes of urban areas, as they are the ones in charge of dismantling the old, preserving the now, and erecting the new. In spite of their importance, their occupations do come with hazards, and when mishaps and calamities happen, workers deserve to be protected. 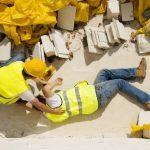 If you have been wounded in a construction-related accident, contact an attorney with a background in construction accidents law in order to receive the damages that you deserve. You can also check out our construction accidents injury guide to learn more about your rights under New York State law.